Israeli officials tell me they have asked the Trump administration to amend a law that would essentially end aid for the Palestinian Authority's security forces, who have a cooperation program with Israel that many believe has provided stability to the West Bank. Why it matters: The law is slated to go into effect Feb. 1, and with the government shutdown continuing with no immediate end in sight, a legislative fix is not expected to be enacted in time. Background: The Anti-Terrorism Clarification Act (ATCA) would force foreign organizations to be subject to the jurisdiction of U.S. courts if they accept certain forms of assistance from the U.S. government. It was signed by Trump last October with the intention of ensuring the Palestinian Authority pays compensation to terror victims who won civil suits against the PLO in U.S. courts. The Palestinian Authority says that accepting the conditions of the ATCA would open them up to billions of dollars in potential liabilities. For that reason, Palestine has asked the U.S. not to provide aid after the law goes into effect. The big picture: The Trump administration has cut off almost all funding to the Palestinians, with the exception of security aid. The U.S. gives the Palestinian security forces $60 million every year for training and equipment, but no aid will be transferred this year if a solution is not found. Israeli government coordinator for the West Bank Gen. Kamil Abu-Rukun raised his concerns with Lt. Gen. Eric Wendt, the U.S. security coordinator in Jerusalem. Israeli officials tell me Prime Minister Netanyahu's aides and the Israeli ambassador to Washington Ron Dermer have reached out to the White House, State Department and members of Congress asking to find some kind of arrangement to ensure U.S. aid to the Palestinian security forces continues. 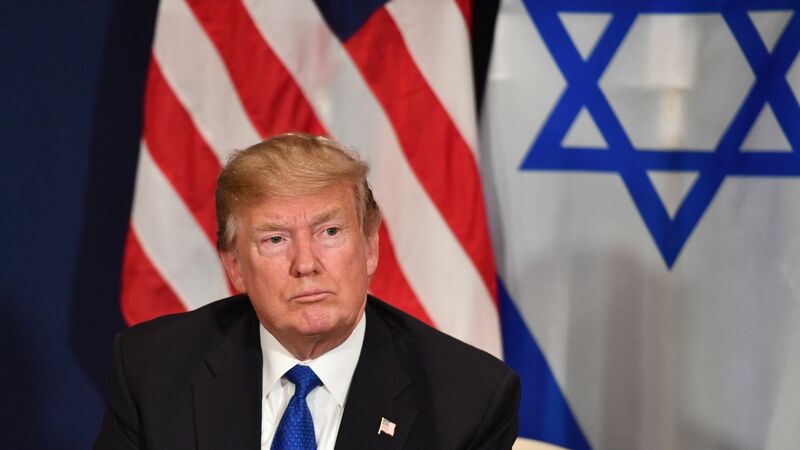 A senior Israeli official tells me that Israel and the U.S. government agree about the need to maintain the security assistance while respecting the claims of terror victims. The main obstacle at this point is the government shutdown preventing Congress from taking action. The bottom line: An Israeli security official told me: "If the law doesn't change and no solution is found, it could be a deadly blow to the security coordination between Israel and the Palestinians. This will harm a top priority Israeli national security interest."